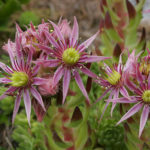 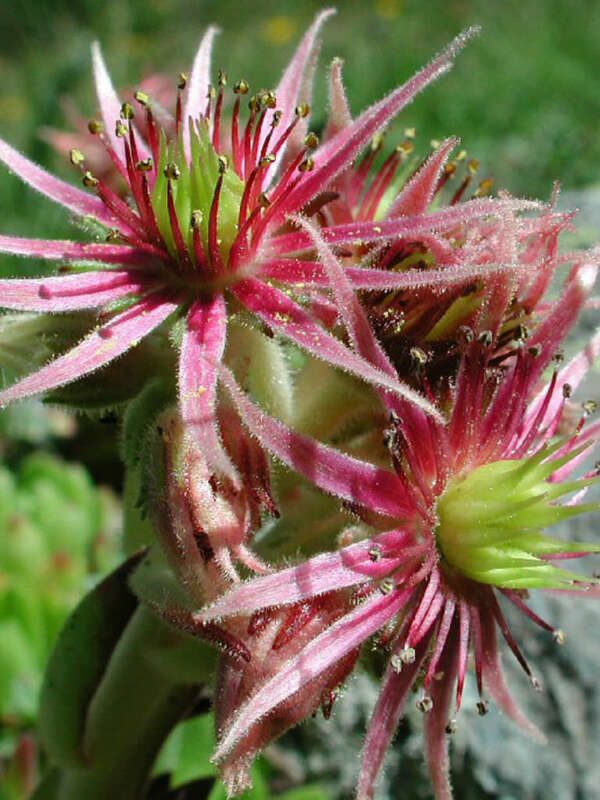 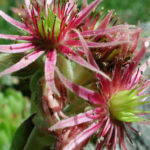 Sempervivum montanum is a hardy, small succulent with tight rosettes up to 3 inches (7.5 cm) in diameter, crowded with mid-green colored fleshy leaves. 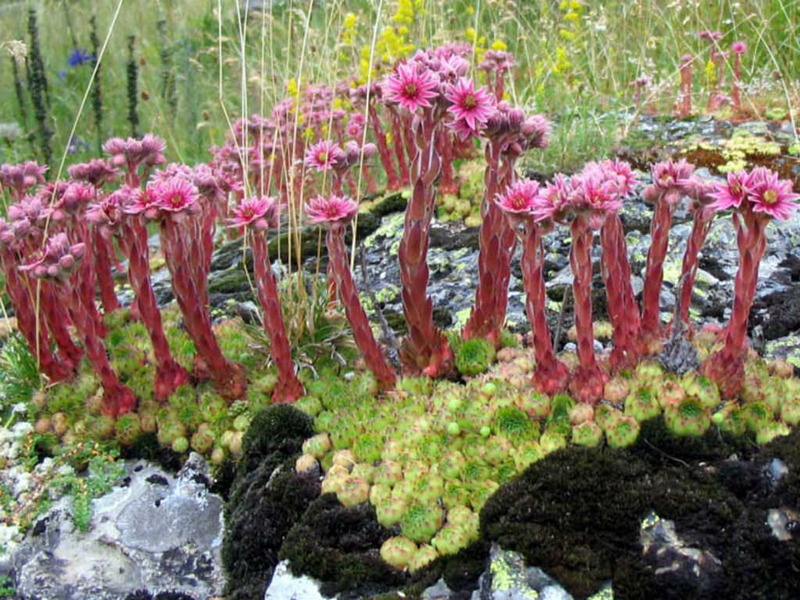 Plants produce many offsetting rosettes that are held tightly crowded together. 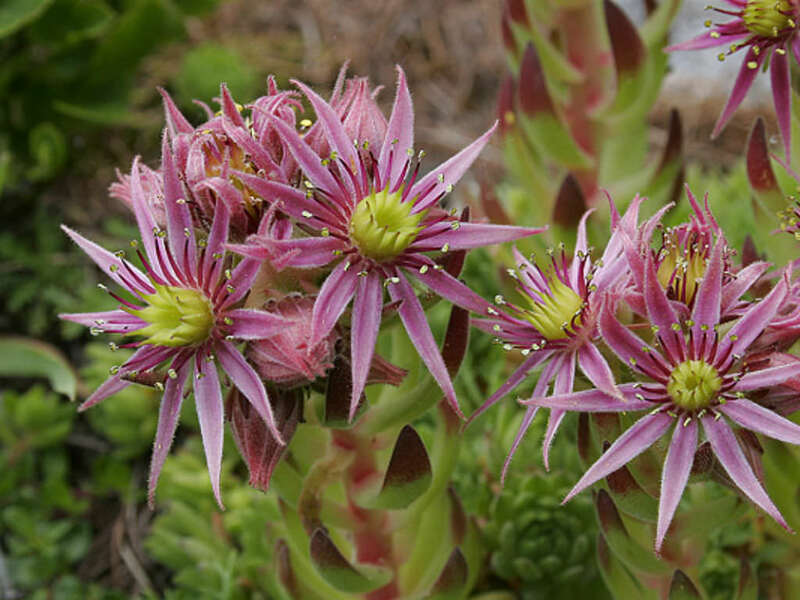 Clusters of reddish-purple, star-shaped flowers rise up on short, up to 8 inches (20 cm) tall stalks in early summer. 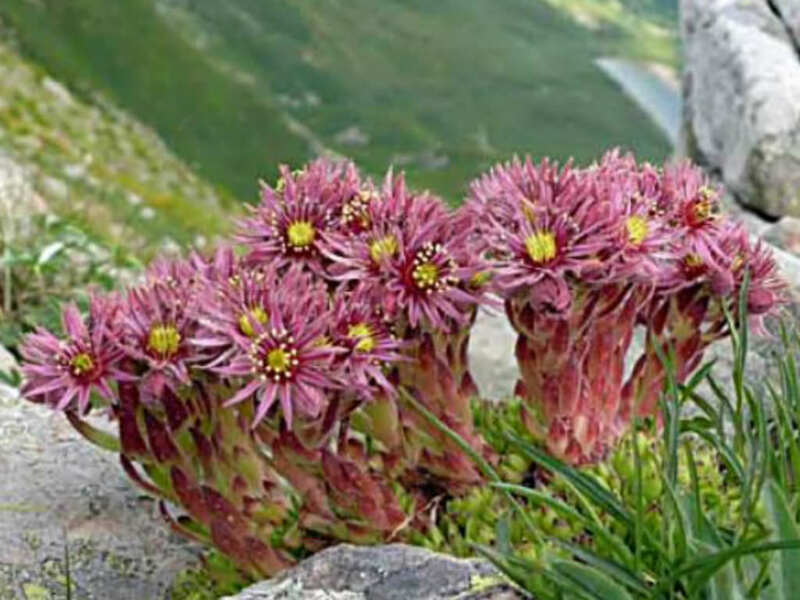 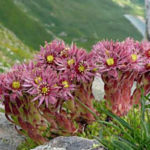 Native to the southern and central European mountains from the Carpathians to the Pyrenees.